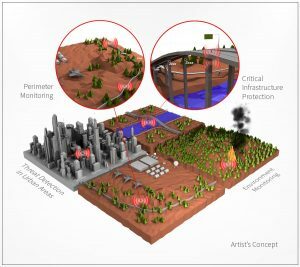 Our DARPA funded work on an ultra-low power wireless wake-up radio was featured on C4ISRNET (a publication covering emerging issues and trends in global military transformation and network centric warfare technologies). Read more about it here. Congratulations, Haowei! 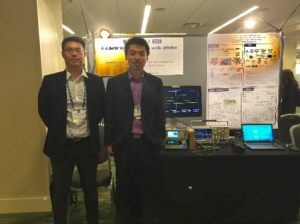 Edwin’s work titled “A Current Measurement Front-end with 160dB Dynamic Range and 7 ppm INL” was accepted for presentation at the prestigious IEEE International Solid-State Circuits Conference (ISSCC) in San Francisco, California. Congratulations, Edwin! 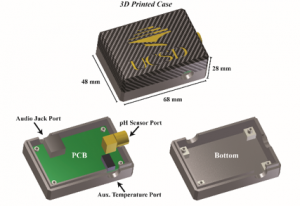 Alex’s work titled “A 64×64 High-Density Redox Amplified Coulostatic Discharge-Based Biosensor Array in 180nm CMOS” and Haowei’s work on a “A 400 MHz 4.5 nW -63.8 dBm Sensitivity Wake-Up Receiver Employing an Active Pseudo-Balun Envelope Detector” were presented at the IEEE European Solid-State Circuits Conference (ESSCIRC) in Leuven, Belgium. Read more about these here and here. Congratulations to Sonal for defending her MS Thesis titled “Protease-Based Magnetic Sensor for Rapid Detection of Candidemia” and starting her new job at Roswell Biotechnologies! 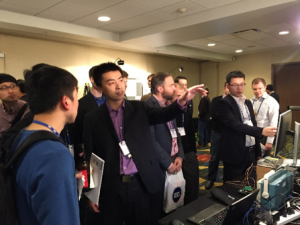 Xiahan and the BioEE group were awarded a Qualcomm Fellow-Mentor-Advisor (FMA) Fellowship to work on an giant magnetoresistive bionsensor array for high sensitivity, point-of-care detection. Congratulations Xiahan! 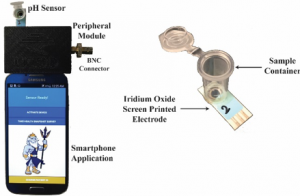 Alex’s work on a “Smartphone-based pH Sensor for at Home Monitoring of Pulmonary Exacerbations in Cystic Fibrosis” was published in Sensors. Watch a video of the device in action here or read more about the work here. 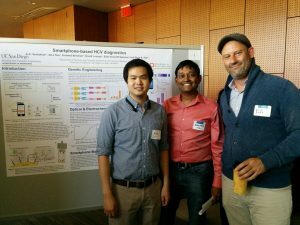 Alex and Venky’s research on smartphone-based HCV diagnostics was presented at the Institute of Public Health (IPH) conference. Read more about this work here. 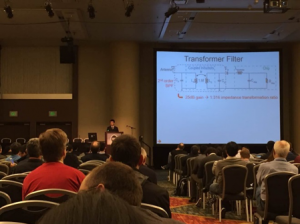 Somok wins best paper award! 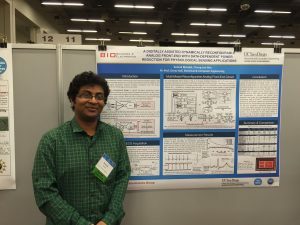 Somok’s work was presented and won Best Poster Award at the Technology Showcase during the 2017 UCSD graduate recruitment event. Congratulations, Somok! 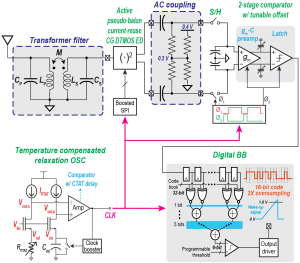 Haowei’s work “A 4.5nW Wake-Up Radio with -69dBm Sensitivity” was accepted for presentation and a demo at the IEEE International Solid-State Circuits Conference (ISSCC) in San Francisco, California.